Social Media Intelligence specialists, webfluenz has headquartered in Singapore to serve a growing client base in the Asia pacific region. 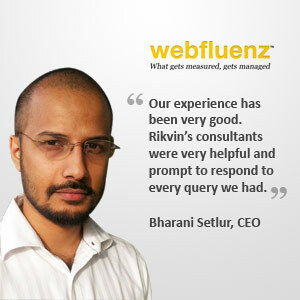 Webfluenz has offices in London, Mumbai, Bangalore and Singapore. Webfluenz offers a sophisticated social media intelligence system of the same name that provides businesses and agencies the ability to Listen, Monitor, Analyze and Engage with conversations in the social media and real-time web. The flexible and detailed system is designed to apply natural language processing (NLP), semantic search algorithms, advanced data mining and pattern recognition to search through various social media and real-time web platforms. The insights then translate to real time intelligence which in turn enhances a brand’s ability to create a competitive advantage throughout the markets in which they operate. Webfluenz’s clients include TNS, Starcom Mediavest group and American Express. Following a recommendation from his financial advisors, Mr Setlur consulted with Singapore Company Registration specialists Rikvin for assistance with Singapore company incorporation as well as nominee director, registered office and corporate secretarial services.